Primary data: We have collected data by survey. Our sample size was 25. We have made a questionnaire then physical conduct with the respondent. Secondary data: We have also gathered secondary data from the handout of the course instructor. It has taken 25 salespeople as respondent for this term paper purpose. Primarily we have conducted with twenty-five respondent. Initially we have given them a questionnaire and they discussed many things verbally with us. After collecting the data we have tried to find out the percentage of the respondents and also tried to represent those raw data on graphical presentation. At the end it has tried to find out some key points about their problems and also tried to give some recommendations against those. 1. Due to rainy weather our schedule was delayed. 2. Initially we have to spend few times for conducting the respondent whom we have required for our assignment purposes. 3. Some other factors such as technical difficulty in lab, load shedding etc were acted as an obstacle for making our research report. The success of the SI Food Group is the result of over 18 years experience in the food service sector in Dhaka and abroad and our focus on our customers. Today after over 10 million customers visits, the SI Food Group leads the from Pizza to burgers and from chicken to Grill Fish. We have Dhaka’s most famous brands including Pizza, Chicken, Burger and Milk Shake to Fresh Juice and The Dominous Pizza Ltd. Operating form over 5 outlets nationwide. In 1997. the SI Food Group introduced “The Dominous Pizza” bringing Dhaka the best in Italian pizza, pasta and Greek food. The Dominous Pizza offers the first ingredients with the best crusts, toppings and cheese blends. Superb fresh Mozzarella cheese are an essential ingredient for all great pizza, pasta and Greek food. The SI Food Group is proud to serve our customers the real Mozzarella cheese, which is from Canada or Newzeland. The Dominous Pizza is the largest and most popular pizza brand in Dhaka today because of its superior taste and great toppings. NO other pizza comes to close. Today, over 5 branches of The Dominous Pizza Ltd. Nationwide are ready to serve you. Whether you wish to dine in our restaurants, take our food home or ask us to delivery to you. For delivery, all you have to do is simply dial our customer Service and we will be there with your order, over fresh hot piping Pizza…. The SI Foods Group and The Dominous Pizza are committed to give you to ultimate in tase and variety for your dining pleasure with 100% Customer Satisfaction. If we have not met your expectations in any way at any of our outets, please telephone our ‘customer Services’ at any of our Dominous Pizza branches. Banani, 33 Kamal Ataturk Avenue, Abedin Tower Ltd.
Dominous want to become a best quality first food company in Bangladesh. They always provide good quality product to the customer as well as chief price. In 1997 the SI Food Group introduced “The Dominous Pizza” bringing Dhaka the best in Italian pizza, pasta and Greek food. The Dominous Pizza offers the first ingredients with the best crusts, toppings and cheese blends. Superb fresh Mozzarella cheeses are an essential ingredient for all great pizza, pasta and Greek food. The SI Food Group is proud to serve our customers the real Mozzarella cheese, which is from Canada or New Zealand. The Dominous Pizza is committed to give customer to ultimate in taste and variety for their dining pleasure with 100% Customer Satisfaction. Nationwide are ready to serve Customer. Whether they wish to dine in our restaurants, take our food home or ask us to delivery to the customer. For delivery, all you have to do is simply dial our customer Service and we will be there with your order, over fresh hot piping Pizza…. Head of the chef Md. Zahid, who maintain all the process of manufacturing. Head chef Md. Zahid and head cook Md. Hafijur Rahman they complete special course from Canada and special cook Ratan and Pulak Parui they also take training from Parjatan Corporation. Food quality is key at Dominous Pizza. That’s why we take pride in the foods we serve you and your family. We seek out fresh lettuce and tomatoes, quality buns and potatoes, pure ground beef, select poultry and fish and wholesome dairy products. In fact, many of the foods we serve at Dominous Pizza are the same trusted brands you might purchase for your family at the local grocery store. The only difference is that our shopping cart is a whole lot bigger – on any given day, we proudly serve more than 1000 customers, in different areas from 5 different restaurant locations. Here’s another fact: Dominous Pizza implements rigorous food safety standards, which meet or exceed government regulations. The quality of the food and ingredients we use – and how you view the quality of our products – are important to us. To that end, we strive to do everything possible to make your experience at Dominous Pizza great. • Dominous Pizza buys beef, chicken and pork from many of the same nationally recognized suppliers as you do. • All of the beef, chicken and pork we provide are purchased from federally inspected facilities to ensure freshness, wholesomeness and peak quality when served to you. • Dominous hamburgers are made from 100% beef. • Specifications for our hamburgers call for rigorous food safety procedures. • Our chicken suppliers conduct ongoing quality analysis as well to assure that the products we serve meet our demanding specifications. • Dominous Pizza sausage, bacon, salad meats and McRib sandwich pork products are made from high-quality ingredients and blends of seasoning. • Dominous Pizza uses white fish from the cold, deep waters of the Pacific Ocean and Bering, Baltic and North Seas. • Our exacting quality standards for fish surpass federal requirements. Marketing management as the art and science of choosing target markets and getting keeping and growing customers through creating delivering and communication superior customer value. Marketers are skilled in stimulating demand for a company products but this is too limited of view of the tasks marketers perform. As a production and logistics professionals are responsible for supply management and marketers are responsible for demand management. The person who manages marketing side of the business. They innovates new idea about this lift up the organization. Streamlining our marketing operation, headed by qualified well-experienced executive. Over 4 marketing officers all over the Dhaka district are working round-the-clock to make our products as well as other foreign products that we market in Bangladesh. The focal function of the company is to create the market and distribute the various products of Dominous Pizza. Channel prefers by the Dominous Pizza for communicating with customer supplier or other interested party. Dominous Pizza makes advertising in news paper, weekly magazine, or make bill board. In this type of advertising the customer be aware about the shop and if they have any kind of special offer to customer they announced that by the daily news paper or by the weekly or monthly magazine. Sales promotion offers some extra things with the product like coupon, price discount, gift voucher, etc. If the organization does this the customer will become more aware or attracted about this product. Dominous Pizza Shop make direct sale when a new product is come in their shop, or customer make order for home delivery. But is a rare case, because our countries people till now are traditional minded. Dominous Pizza maintains internet communication especially with its supplier and some other special customer. In that case the marketer individually inform to special customer about new or any other special product. It is quest to create customer value the firm needs to look beyond its own value chain and into the value chains of its supplier’s distributors and ultimately customers. More company today are partnering with the other members of the supply chain to improve the performance of the customer value delivery network. For example Honda has designed a program for working closely with its suppliers to help them reduce their costs and improve quality. Increasingly in today’s marketplace competition no longer takes place between individual competitors. Rather it takes place between the entire value delivery networks created by these competitors. That’s why Dominous Pizza makes partnering with other in the marketing system. Dominous Pizza records their financial statement by computer. Manager Accounts MIR KALAM who record all financial information. They do financial transaction by Cash payment, Credit Card, Master Card, Ready Cash, Q-Cash etc. Dominous Pizza’s total asset of the year 2003 that is Tk.15950000 only and their total liability Tk.800000. By the year 2003 their Net Income Tk. 2085000. They paid their employee’s salary Tk. 3,000 to Tk. 10,000. They also give incentive like salary increasing, gift, certificate and also give money. They make a fund for their extra expense like Generator, fire protect elements etc. Dominous Pizza use technology. Cash register is a machine from which they collect all data of daily transaction. This machine also give a copy where cost, payment, tax are included. They use internet to contract their customer and also communicate with the employee of them. Employee and also customer can contact with Dominous Pizza by email. Dominous Pizza is committed to protecting the privacy of the personal information. We believe it is important for you to know how we treat the information you share with us. The following policy will explain how your personal information will be treated as you use our Web site and its features. Personal information includes your name, address, telephone number, e-mail addresses, credit card information, click-through activity and any other information you may provide here. Your email address and all other personal information is collected only when you voluntarily provide that data whileregistering for activities such as online ordering or participating in surveys. Of the last URL you visited prior to clicking through to Dominous Pizza. Voluntarily provide that data while registering for activities such as online ordering or participating in surveys. The information you provide helps Dominous Pizza understand how you use the Web site. This allows us to recognize your needs and continue to make the improvements that are important to you and our customers. Dominous Pizza and our parent and subsidiary corporations (“Affiliates”) may use your information to respond to specific requests and to send notices, offers and solicitations that may take the form of U.S. mail, telephone calls, email and other methods of contact. Dominous Pizza often conducts online surveys of visitors. Your participation in a survey is voluntary and the information you provide will not be shared with third parties unless you have received prior notification upon the collection of your feedback. Dominous pizza group provides a world-class atmosphere with a dynamic energetic and creative working environment. They promote diversity, value honesty and encourage and appreciate harmonious relations among all their employees. They believe everything is within reach. They are determined to grow and succeed for hard work conquers everything. They believe every employee that joins their Group is an important asset; they value them and their contributions to our company. At Dominous pizza they expect nothing, but the best from our employees as we give our employees the opportunity to grow in their professional goals and in their personal lives. They believe that the growth and development of a successfull company relies on the overall contributions of its employees. They try to provide their employees with the tools they need to succeed in their jobs, which in turn will help them in achieving our corporate goals. It Dominous pizza Leadership means accountability. They give our people the opportunities to explore, innovate, and devise in the manner in which they manage our business. From the first day, they accept our employees as member of our Dominous pizza family. In their company, they give their people the tools they need to succeed. In return, they expect an honest, dedicated, responsible, effective and diligent staff for motivation management. When it comes to benefits, Dominous pizza provides a comprehensive benefit package, which is tailored according to each individual’s qualifications and job title. The groups benefit program is the mostcompetitive and outstanding, in Bangladesh. They work diligently to give our people the best. They believe having job security and benefits for their valued employees will lead to a productive individual that will contribute 100 percent to their job. At Dominous pizza they are committed to Environment safety. They are conducting their operations in accordance with all applicable laws and regulations. They strive to do more than just what laws require. Their environmental management systems (EMS) are the key to their environmental performance. At the corporate level, the Environmental policy group establishes broad environmental policies, including nine environmental principles they adhere to. Their operating companies follow their corporate guideline and then establish their own Environment Management Systems (EMS), consistent with their corporate guidelines in order to ensure performance at our facility level. Those systems include plans and operating procedures for implementation of the principles and then evaluate and measure those systems, and the level of environmental performance they deliver, which provide further opportunities for improvement. The purpose of behavior is to satisfy needs. A need is anything that is required, desired, or useful. A want is a conscious recognition of a need. A need arises when there is a difference in self-concept (the way I see myself) and perception (the way I see the world around me). The presence of an active need is expressed as an inner state of tension from which the individual seeks relief. Many methods of employee motivation have been developed. The study of work motivation has focused on the motivator (supervisor) as well as the motivated (employee). Motivation theories are important to supervisors attempting to be effective leaders. Two primary approaches to motivation are content and process. The content approach to motivation focuses on the assumption that individuals are motivated by the desire to fulfill inner needs. Content theories focus on the needs that motivation management people. Level I – Physiological needs are the most basic human needs. They include food, water, and comfort. The organization helps to satisfy employees’ physiological needs by a paycheck. Level II – Safety needs are the desires for security and stability, to feel safe from harm. The organization helps to satisfy employees’ safety needs by benefits. Level III – Social needs are the desires for affiliation. They include friendship and belonging. The organization helps to satisfy employees’ social needs through sports teams, parties, and celebrations. The supervisor can help fulfill social needs by showing direct care and concern for employees. Level IV – Esteem needs are the desires for self-respect and respect or recognition from others. The organization helps to satisfy employees’ esteem needs by matching the skills and abilities of the employee to the job. The supervisor can help fulfill esteem needs by showing workers that their work is appreciated. Level V – Self-actualization needs are the desires for self-fulfillment and the realization of the individual’s full potential. The supervisor can help fulfill self-actualization needs by assigning tasks that challenge employees’ minds while drawing on their aptitude and training. Alderfer’s ERG identified three categories of needs. The most important contribution of the ERG model is the addition of the frustration-regression hypothesis, which holds that when individuals are frustrated in meeting higher level needs, the next lower level needs reemerge. Existence needs are the desires for material and physical well being. These needs are satisfied with food, water, air, shelter, working conditions, pay, and fringe benefits. Relatedness needs are the desires to establish and maintain interpersonal relationships. These needs are satisfied with relationships with family, friends, supervisors, subordinates, and co-workers. Motivation and Performance in Organizations. Its employee’s performance typically is influenced by motivation, ability, and the work environment. Some deficiencies can be addressed by providing training or altering the environment, motivation problems are not as easily addressed. Motivation management is important because of its significance as a determinant of performance and intangible nature. Evolution can be traced from scientific management, through the human relations movement, to the human resource approach. The assumptions of scientific management were that work is inherently unpleasant for most people and the money they earn is more important to employees than is the nature of the job they are performing. This school of thought emphasized the role of social processes in organizations and assumed that the need for belongingness and the need to feel useful are more important than money in motivating employees. This view assumes that people want to contribute to organizational effectiveness and are able to make genuine contributions. The organization’s responsibility is to create a work environment that makes full use of available human resources. The human resource approach guides most thinking about motivation management today, but three integrative approaches conceptualize motivation more completely: need-based, process-based, and reinforcement-based approaches. Every person as a businessman or as a business administration student must have to know about the motivation management of an organization. After completing this report we earn some confidence about the marketing activity than before. 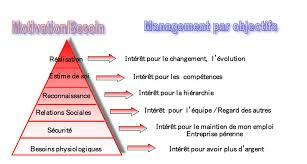 Today in modern business world the success of the business or a product highly depended on the management & marketing. So at last we have try our best to prepare this term paper.